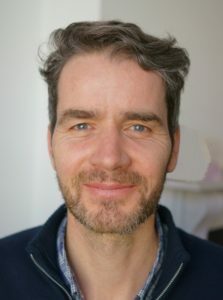 This website gives you a taste of my work as a psychotherapist and of how we could explore your concerns and find ways to improve your situation. If you have any questions or would like to arrange a meeting, please contact me, in confidence, by phone or email. I look forward to hearing from you. You may find yourself unhappy with how things are and you want them to be better. Perhaps troublesome thoughts, feelings and behaviours are repeating over and over. It may be frustrating to consider that life is passing by and you are not making the most of it. Psychotherapy gives you a chance to explore these difficulties. A basis of mindfulness (paying attention to your experience of the present moment) provides stability and openness. A psychotherapist who is attuned to your concerns can help you to open to a clearer view of your experience. As you talk freely to a skilled listener, you may find that you can look more deeply into your concerns, and explore with a sense of stability and safety. This allows you to see and understand aspects of your life that have been confusing or unclear. When this happens, you can let go of unwanted patterns and live life with greater enjoyment and satisfaction. The nature of this work and the time it takes will be different for everyone. We determine the pace and depth of work that feels right for you. If this sounds right for you, there are a few things you can do to explore further. You can find out more about psychotherapy and my work as a psychotherapist by reading more on this website. You can call (07909107447) or email (use the button on the right). I would be happy to discuss your needs and answer any questions that you may have, with no cost or commitment to proceed further. You can arrange to meet for an initial consultation in Dalston, Hackney or Angel, Islington. During an initial consultation we can talk in depth about your situation and how we could work together to improve it. By the end of the initial session we will aim to agree if we would like to continue working together. If we decide to work together, the ongoing sessions will be 50 minutes long and will be provided on a weekly basis. Of course, this is different for everyone, this is a general outline. Most clients seem to settle into the psychotherapy environment and build up confidence and trust that they can speak freely over the first few sessions, knowing that what they say will be received with respect and consideration. In the first six sessions or so, it is possible to look in some detail at your life situation, and this process will enable some clients to see things in a new way and perhaps make some practical decisions or changes. What is possible over a number of months is the process of recognising and letting go of unhelpful patterns and habits. These changes may happen in the session, or in the week between sessions. Over time there seems to build the confidence that things can be done differently. Whether it is about the way you see yourself, or the way you respond to others. You may find some new freedom to make healthier choices and feel lighter and happier. What is psychotherapy and how it works. My background and qualifications in ‘Mindfulness-Based’ Core Process Psychotherapy. Brief overview on issues such as anxiety and stress, relationship problems, depression, ‘shock and trauma’ and feeling stuck. Counselling/psychotherapy sessions take place at E2 Therapy Rooms in Hackney, North East London on Cambridge Heath Road, very close to Cambridge Health overground station and Bethnal Green underground station. 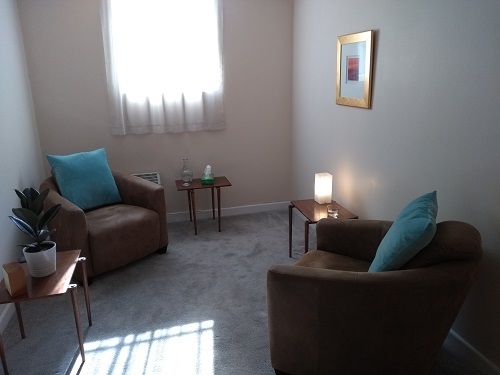 The rooms are quiet, comfortable and perfect for counselling. You can call (07909107447) or email (from the Location & Contact form). I would be happy to discuss your needs and answer any questions that you may have, with no cost or commitment to proceed further.